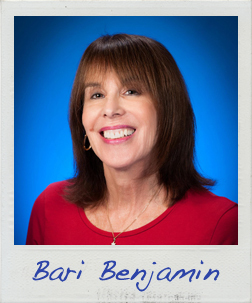 Bari Benjamin is a former English teacher turned psychotherapist. She lives and practices psychotherapy in Pittsburgh. Bari has written stories since she was a young girl and vividly remembers her first rejection from a children’s magazine. Since then, she has had many more but has also published personal essays in magazines and anthologies. When not dancing enthusiastically in Zumba class, you might see her walking arm in arm with her daughter and her daughter’s seriously smart golden retriever named Albert Einstein. Read the first page of Bari’s story!